This is a technology site but sometimes it’s worth noting the things that made it big on the internet. 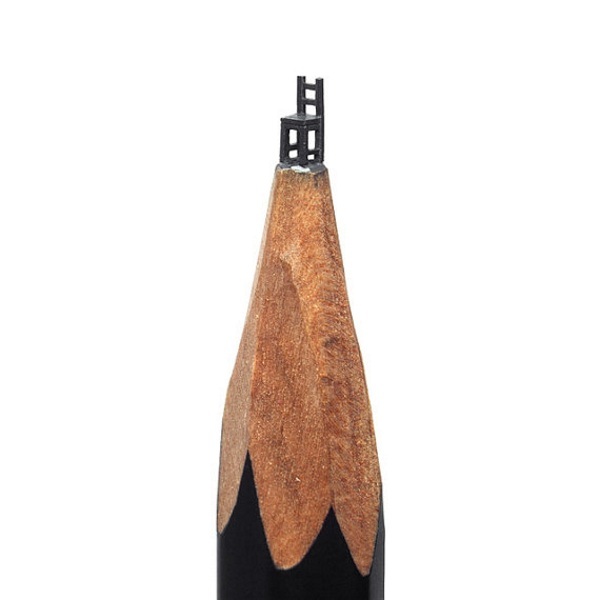 If you’ve been on the internet for any amount of time, you’ve probably seen a few examples of the amazing sculptures made from the tip of a lead pencil. You can buy them directly from the artist at SalavatFidaiArt. I actually saw one of these in person, I’m not going to lie, it was oddly amazing. It was so small and so precise. Pictures don’t quite capture how neat this is because they zoom in on the art. It’s another thing entirely to see it close up in real life, the scale of it just blows your mind. If you can’t catch it at an art showing then you can buy your own. The artist has put up a few of his works for sell. I would worry about them making it in one piece because they are fragile. Of course these tiny wonders don’t come cheap. Each one is $2,000 and up. You can get a PDF of the art book for $10 though.